As many educators, parents, and families know, having a learning disability doesn’t make a child any less smart than his or her peers. In fact, it often means that the child is as smart or smarter but their brain just works differently because it’s neurological process. People with learning disabilities have a biological brain make up which counterintuitively functions to typical memory, reasoning, planning, organizational, and attention tasks. These disabilities are often lifelong and create a divide between intellectual abilities and actual success, especially when the learning disability is unidentified. That’s why it’s supremely important to evaluate the possibility of the presence of a learning disbaility while a child is young. That way they can gain the tools they need to function, thrive, and learn as individuals. Parents and special education teachers often have difficulty finding new tactics to provoke a love for learning in children with learning disabilities. Fast-advancing technology has made the Internet one of the best resources for discovering entertaining activities that teach as well as excite children. Educational websites assist children with learning disabilities master basic skills in reading and math or advanced concepts like calculus. To help with that process, the following are 12 Websites For Children with Learning Disabilities, including dyslexia, dysgraphia, ADHD, and visual motor deficit. Aligned with Common Core Standards, IXL Worldwide is a dynamic, immersive website offering adaptive learning for students with disabilities. 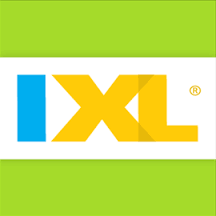 From Pre-K through senior year, IXL will provide fun exercises for mathematics, language arts, science, and social studies. Children remain motivated by earning awards like stickers and balloon animals for each lesson mastered. Featuring the kidSAFE Seal, FunBrain is an educational website managed by Sandbox Networks since 1997 with exciting arcade games. Children with learning disabilities in grades K-8 can watch lesson videos and practice their skills in attention-grabbing games like Penguin Drop. Game directions are conveniently illustrated to assist struggling readers too. Children diagnosed with dyscalculia will particularly benefit from AAA Math, a website filled with free, easy-to-understand K-8 mathematics lessons. Interactive pages help remove frustration from tough concepts like division, ratios, exponents, and graphing. Practice questions and fun games like Countdown give students’ instant feedback to prevent learning incorrect methods. 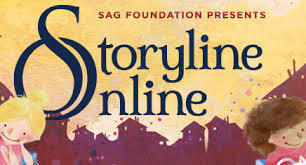 Published by the SAG-AFTRA Foundation, Storyline Online is an excellent resource for children with learning disabilities like dyslexia. This website records free videos of narrators, and sometimes well-known actors like Eva Longoria, reading children’s books aloud. Students develop their literacy skills by following along with text as the literature comes alive. The Wisconsin Media Lab created the Into the Book! 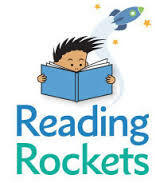 website to provide engaging reading comprehension activities in English and Spanish. Elementary children with learning disabilities will benefit from dissecting books, such as The Wolf Who Cried Boy and A Pirate’s Life. Short, 15-minute videos are included to teach important reading strategies like visualization and summarizing. Launched in 2002 by the Polis-Schutz family, Starfall is a free educational website with an optional low-cost membership program that teaches phonics. Young children diagnosed with learning disabilities will load fun activity lessons from letter recognition to reading full-length books. Students can also download swinging sing-alongs, including “Wheels on the Bus,” for fine-motor coordination. Children with learning disabilities and a knack for science will enjoy The Exploratorium, a website that brings the San Francisco museum to your desktop. Youth can scroll through 55 pages of educational videos to illustrate key topics like climate change, electricity, and human anatomy. Also download the Total Solar Eclipse app to prepare for the upcoming astronomical event on August 21, 2017. Attracting over 11 million views monthly, Do2Learn is an unparalleled special needs resource website started in 1996 through a NIH Small Business Innovation Research grant. Learning disabled youth access thousands of free elementary-level worksheets for literacy, math, visual discrimination, behavior management, and more. There are also printable picture cards available to promote functional communication in children with Autism. Trusted by over 150,000 teachers, AdaptedMind was established by Stanford graduates for exercises that adapt to exceptional children’s needs. 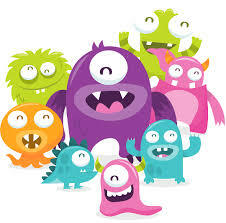 From first through eighth grade, students will discover hundreds of amusing reading and math activities illustrated by goofy monsters. Children will start with a quick pretest before engaging in video lessons and taking a confidence-boosting progress assessment. 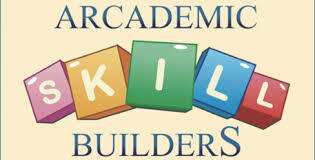 Arcademic Skill Builders is an online educational video games hub that won an EdTech Magazine 2016 Cool Tool Award. Free, multi-player games are available for engaging students in tricky K-6 content from spelling to algebra and geography. Children with learning disabilities can compete for top scores while boosting their fact fluency. Plus, teachers or parents can access data tracking reports. For nearly 70 years, Learning Ally has been a leading nonprofit devoted to helping people with print disabilities, especially dyslexia. From kindergarten to college, learning disabled youth can access the website’s library of over 80,000 audiobooks with VOICEtext. Award-winning books, such as Little Red Riding Hood and Alice in Wonderland, are human narrated in clear voices to boost students’ comprehension. It’s important that children with learning disabilities don’t lag behind. After all, the NCLD reports that 19 percent of learning disabled youth drop out before high school graduation. Keep your child or student progressing academically with these any of the above listed Top 12 Websites For Children With Learning Disabilities. This entry was posted in Educational Resources on December 20, 2016 by tjentz. Approximately 6.5 million U.S. youth are diagnosed with a disability that qualifies for special education services. These children represent around 13 percent of school-aged Americans. The most prevalent disabilities include ADHD, autism, Down syndrome, dyslexia, hearing loss, mental retardation, and visual impairment. Under the IDEA Act of 2004, federal law requires disabled students have access to free, public education. Many parents feel their children get lost in the shuffle of public schooling though, especially with the new Common Core. Private schools provide an excellent alternative for specialized instruction that’s delivered by qualified teachers in small class sizes. We’ve helped parents choose by researching the following 20 best private special needs schools in the U.S.
To begin, we focused on schools recognized by the National Association of Private Special Education (NAPSEC). We narrowed down the hundreds of options by checking for state licensing and national accreditation, such as CARF. 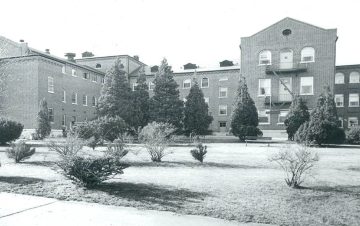 All private schools had to offer daytime or residential programs specifically for disabled students. We looked for low student-faculty ratios where individualized instruction was prioritized. Priority was given to schools providing 1:1 intensive therapy plans. All selected schools must have earned industry awards for excellence in special education. Other factors we considered were curriculum type, teacher qualifications, experiential learning, financial assistance, and young adult transitions. 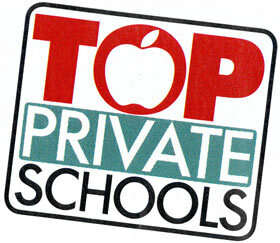 According to the Council for American Private Education (CAPE), there are 30,861 private schools in the United States. Not all are created equal when it comes to fostering learning for students with disabilities though. Special needs schools adapt research-based teaching methods that cater to exceptional students. It’s easy for parents to get sticker shock when looking at tuition rates for these specialized private schools. Many rival annual Ivy League costs at Harvard and Yale. However, the following 20 Best Private Special Needs Schools in the U.S. provide valuable education with financial aid. The Kennedy Krieger School is a Maryland certified special needs school with four campuses and over 165 students across downtown Baltimore. As a Blue Ribbon School of Excellence, Kennedy Krieger won the 2012 Leadership and Innovation in Special Education Award. There are K-8, high school, and LEAP transition programs in least restrictive environments. Tuition is covered by state funds. Learn more about Kennedy Krieger School’s Special Education Programs here. Based in Randolph, the May Center Schools operate in Massachusetts and California to provide full-day, year-round educational services to children with autism spectrum disorder. Featuring CARF accreditation, the May Center serves youth aged 2 to 22 using ABA methods. It’s known for winning SABA’s Enduring Programmatic Contributions in Behavior Analysis Award in 2007. Tuition currently costs $381 per day. Learn more about the May Center Schools here. Established in 2000, the T.C. Harris School is certified in Indiana to serve students from 6-21 who have intellectual, behavioral, emotional, speech, and neurological disabilities. The Day School is located in Lafayette, but there’s also residential and group home programs. In 2015, T.C. Harris was chosen for the NASET School of Excellence Award. Funding is provided by local school districts. Learn more about T.C. Harris School here. Celebrating its 53rd anniversary, Little Keswick School is a licensed, therapeutic boarding school serving boys aged 9-18 in Keswick, Virginia. Education sessions from August to June follow each student’s IEP with speech, art, occupational, clinical, or animal-assisted therapy. Little Keswick School has received the Excellence in Education Award from Woodbury Reports. Yearly residence costs $100,571. 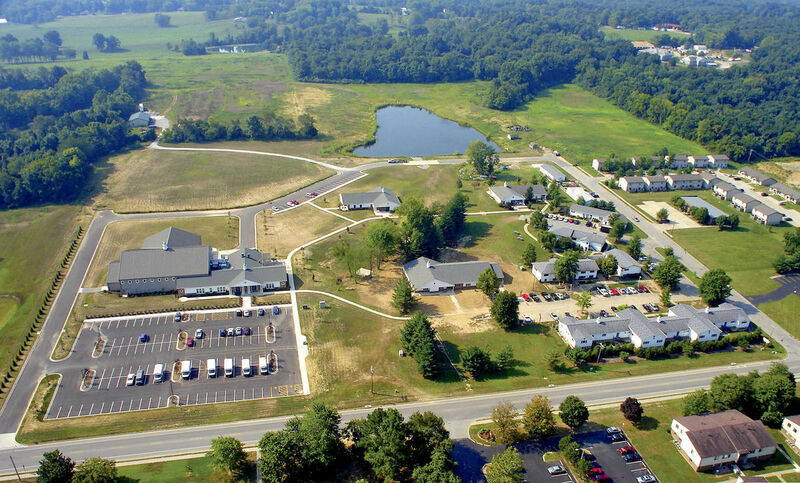 Learn more about LIttle Keswick School here. The Children’s Institute strives to “teach the whole child” with evidence-based, full-day education in Verona, New Jersey. With a student-faculty ratio of 2:1, youth with autism and development disabilities can join the preschool, elementary, middle, high school, or young adult programs. Two have earned the NIMH’s coveted Lela Rowland Award. Annual tuition at TCI is $53,480. Learn more about The Children’s Institute here. Specializing in learning disabilities, including dyslexia, ADHD, and TBI, Brehm Preparatory School is an accredited, non-profit school founded in 1982 in Carbondale, Illinois. Brehm offers 24/7, family-style academics with tiered scheduling and differentiated instruction. There’s also a Summer Program for youth aged 12-18. Deemed a U.S. ED Blue Ribbon School of Excellence, Brehm charges $71,000 per year. 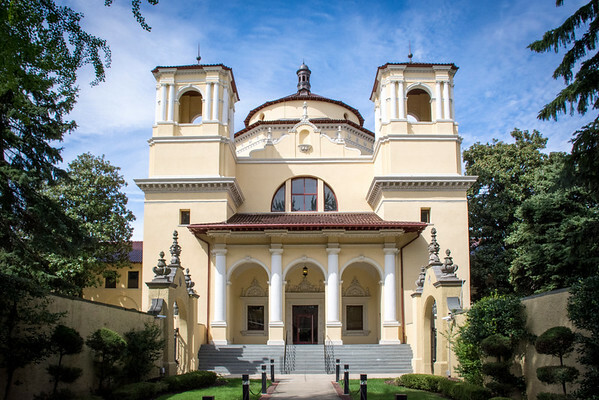 Learn more about the Brehm Preperatory School here. Located in Rockville, Maryland, The IvyMount School has been named a Blue Ribbon School of Excellence twice to educate over 200 students aged 4-21. Bethesda magazine also honored Ivymount as a “Readers’ Pick.” Parents can select from the Ivymount Multiple Learning Needs, Autism, or Model Asperger programs. Tuition averages $36,000, but most is funded by local school systems. Learn more about the Ivymount School here. Opened in 1971, The Center School is a state-accredited school in Somerset, New Jersey, that serves 112 learning disabled students with 10-month, daytime programs. The Center School was named among Noodle’s 41 Most Innovative K-12 Schools. Certified teachers use “Bulldog Bucks” for positive reinforcement. The Center’s also one of two special needs schools with a FIRST robotics team. Annual tuition is $49,689. 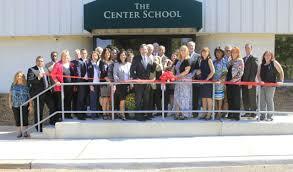 Learn more about the Center School here. The Central Institute for the Deaf has 100 years of excellence serving children from birth to age 12. 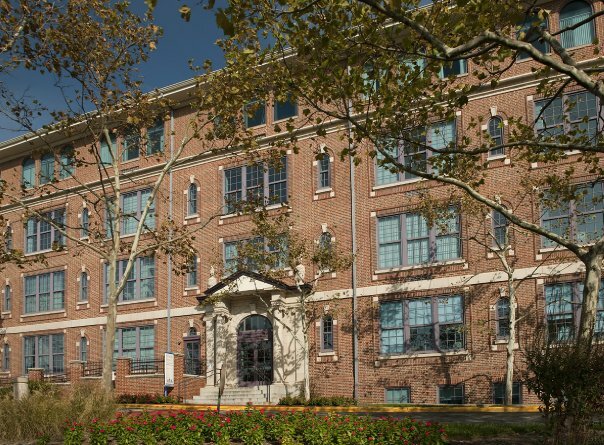 Primary education, pediatric audiology, and speech-language pathology are provided at the 42,000-square foot “Quiet School” in St. Louis. Financial aid helps cover the $27,000 yearly tuition. CID earned the Impact on Learning Award from School Planning and Management magazine in 2013. 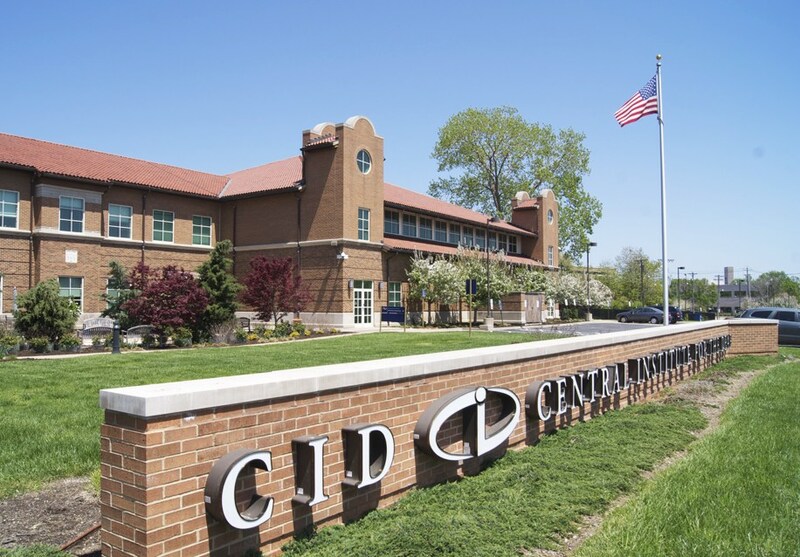 Learn more about the Central Institute for the Deaf here. With small class sizes between 8 to 13, Oakwood School has a K-8 program to educate bright students with learning differences in Annandale, Virginia. Crowned a Blue Ribbon School in 2014, Oakwood uses a team model for child-centered, multi-sensory curricula. After-School Enrichment Clubs are available. More than 75 percent of teachers are master’s prepared. Tuition currently costs $33,750 annually. 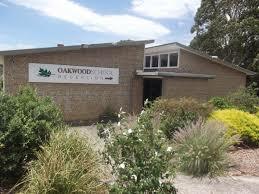 Learn more about Oakwood School here. 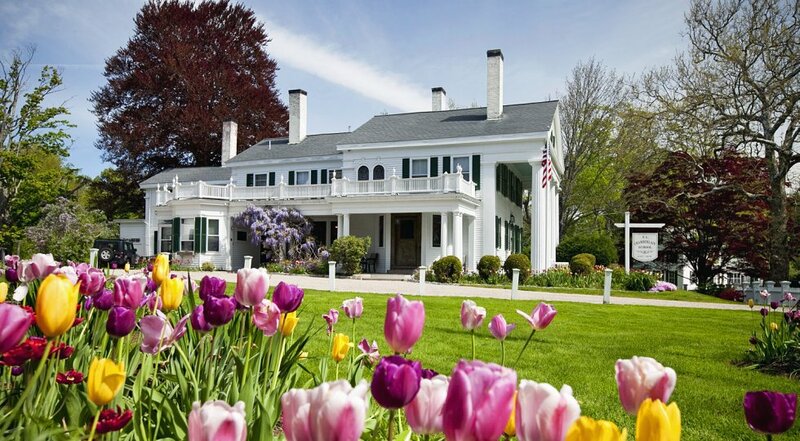 Chamberlain International School is a co-educational, therapeutic boarding or daytime school located in Middleboro, Massachusetts, since 1976. Using a multi-modality, project-based approach, Chamberlain offers general and specialized education like Auto Mechanics or Aviation to struggling teens aged 11-22. Chamberlain employs the NAPSEC’s 2014 “Direct Care Worker of the Year.” Tuition ranges from $56,376 to $137,103 each year. Learn more about the Chamberlain International School here. Firmly rooted in “Four Core Goals,” The Monarch School is a licensed education provider serving K-21 students with neurological differences from Houston, Texas. Along with daytime education, Monarch offers a Get Out Program, Life Academy, and Summer Camp. With a faculty-student ratio of 1:2.5, Monarch earned the NAPSEC Leadership and Innovation Award in 2012. Programs cost from $16,100 to $47,500. Learn more about The Monarch School here. At $206.59 per diem, NewHope Academy has offered private, daytime educational and therapeutic programs from Niles, Illinois, since 2000. Fully accredited by the ABCT, NewHope was crowned a NASET School of Excellence for two straight years. Teaching staff hold LBS1 designations to promote learner-based, interactive classrooms. NewHope has diverse expertise areas, including depression, ADHD, autism, anxiety, and OCD. Learn more about New Hope Academy here. Henry Viscardi School is an accredited, non-profit organization offering safe, supportive PreK-12 education to students with severe physical disabilities, such as cerebral palsy and multiple sclerosis. 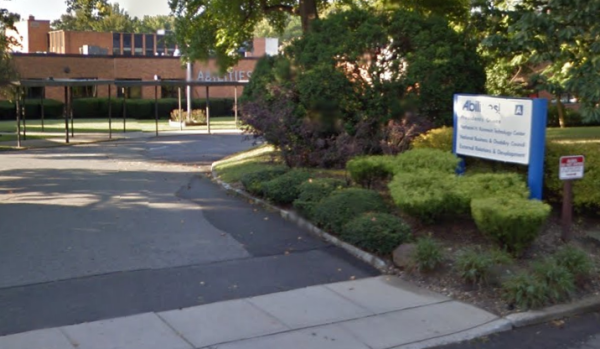 Located in Albertson, the school enrolls around 175 pupils in NYS Regents curriculum. Named a finalist for the 2015 Long Island Imagine Awards, Henry Viscardi School earns state funding for the $72,000 tuition. 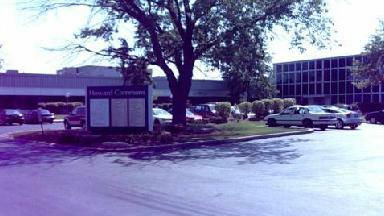 Learn more about Henry Viscardi School here. Partnered with Wilson Language Training, AIM Academy enrolls 310 students from grades 1-12 as a college preparatory school in Conshohocken, Pennsylvania. Devoted to “fearless learning,” AIM offers interactive, tech-enhanced education for learning disabled children with a one-to-one laptop program. AIM Academy is the state’s only “21 Century Skills Exemplar School.” Annual tuition costs an average of $32,352. Learn more about AIM Academy here. 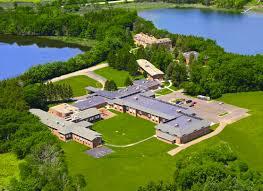 On 160 wooded acres in Oconomowoc, Wisconsin, the Genesee Lake School is an accredited education provider for students with autism, anxiety, mood disorders, and complex trauma. In 2015, Genesee Lake School was given NASET’s highest honor award. 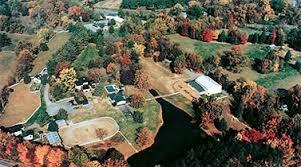 GLS has daytime, residential, and STEP programs with vocational therapy on the adjacent Homegrown Farms. Tuition averages $5,000 per month. Learn more about Genesee Lake School here. Founded in 1832, Overbrook School for the Blind is a private, non-profit school educating 215 legally blind students on a 22-acre campus in West Philadelphia. Using Braille, OBS has early intervention, elementary, middle, and high school programs. Granted the Lightspan Academic Excellence Award, OBS recently built a 25,000-square foot aquatic center for sports & leisure services. Tuition charges $198 per diem. Learn more about Overbrook School for the Blind here. Accredited by the Montana Office of Public Instruction, the Yellowstone Boys and Girls Ranch in Billings encourages disabled youth with experiential learning. 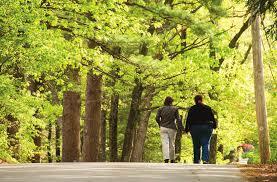 YBGR offers daytime education and residential mental health treatment. Having helped over 10,000 teens since 1957, YBGR earned the 2012 NASET School of Excellence Award. Tuition varies based on income with most families paying under $25 monthly. Learn more about Yellowstone Boys and Girls Ranch here. Named among Maryland’s PBIS Gold Medal Schools since 2005, St. Elizabeth School is located in Baltimore to serve special needs students from 6-21. MSDE-certified teachers deliver differentiated instruction with clinical treatment, OT, PT, SLP, and behavioral support. St. Elizabeth’s Wright Center for Transition Services also offers work-based learning. SES 11-month programs cost $38,027 yearly. Learn more about St. Elizabeth School here. 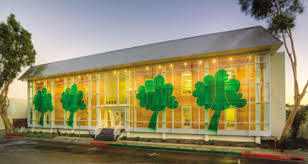 Situated in Culver City, California, Park Century School is a non-profit, co-ed daytime school founded in 1968 to serve learning disabled children in grades 2-8. PCS offers a remedial, child-centered curriculum that includes the arts, physical education, and technology. Fully accredited by CAIS, Park Century was selected among the NASET’s 2016 Schools of Excellence. FAST financial aid is available for affording the $41,000 tuition. Learn more about Park Century School here. School names are the registered trademarks of their original owners. The use of any trade name or trademark does not imply any association with the school. This entry was posted in Educational Resources on June 18, 2016 by tjentz. For disabled people, daily life can seem like an impossible challenge. Stephen Hawking is all too familiar with the challenge of living a fulfilling life while being limited by disabilities. In fact, since he was born in 1942, he has been battling disability for the better part of his 74 years. 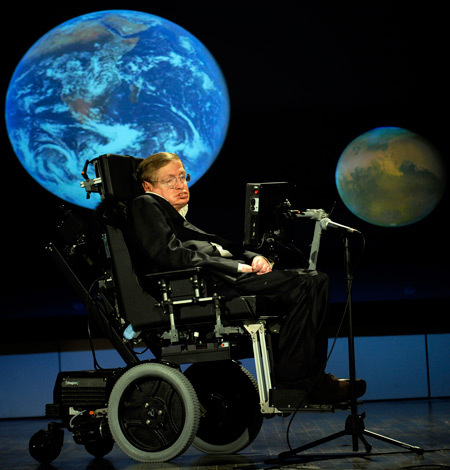 While most people with amyotrophic lateral sclerosis (ALS) die prematurely, Hawking has pushed through his illness and become a world-famous physicist and more importantly, an inspiration to us all. Over the years, his work in theoretical physics has captured the public eye due to his intelligence, exceptional insight, tenacious research, and creativity. Before Stephen Hawking was diagnosed, he was an unexceptional college student. After experiencing some unusual symptoms, he was diagnosed with ALS. In moments, he went from being bored with life to having a life-threatening challenge ahead of him. He was expected to live only a few months after his diagnosis. As anyone who has listened to him speak knows, Hawking outlived this prediction by more than half a century. Instead of depressing him, the diagnosis gave him a renewed will to live. He knew that he may only have a few months, possibly years to live, and this changed his entire perspective. As his body began to deteriorate, he made great strides in theoretical physics. In the 1960s, Hawking showed that mathematically reversing the creation of black holes explained how the universe could have expanded. Today, ALS has forced Stephen Hawking to live in a wheelchair and use a computerized voice synthesizer. Despite these limitations, he still jokes around about using the voice synthesizer. According to Hawking, “the only trouble is it gives me an American accent”. As any parent knows, having a child with a disability or special need is hard. Being that child can sometimes be impossible. Hawking was clumsy and not particularly good at hand-eye coordination as he was growing up. But he didn’t let that stop him from his studies. Years later at Oxford University, he took up rowing and finally found a sport that he excelled at. By his third year, Hawking began noticing that he was increasingly clumsy. The following year, his father made him go to the doctor for tests. Two weeks later, the diagnosis came back. Hawking had an incurable disease and was expected to die within months at worst, two or three years at best. Initially, he was shocked to realize that his life would end so soon. For people with ALS, death often arrives when they are unable to swallow food or when the lung muscles stop working. Hawking began to dream that he was being executed at night or that he had the choice to die to save other people. Despite the grim prognosis, Hawking found that he was able to return to normal life and soon became engaged. The engagement gave him something to live for, and a research fellowship at Cambridge University gave him a purpose. As the years progressed, Stephen Hawking became increasingly recognized in the scientific community. His new status and international fame made it easier to get accommodation close to his work, and colleges were more willing to hire him. By the 1980s, his disability was starting to become too much. At the time, he was able to slur words that were interpreted by people who knew him well. After a case of pneumonia and a tracheotomy, Hawking was unable to speak at all. Luckily, a computer expert from California heard of his predicament and created a program called the Equalizer. Through a switch in his hand, Hawking was able to speak again. Over the years, Hawking’s voice synthesizer has been modified as his disability has progressed. Currently, it uses movements in his cheek muscles to identify the word that he wants to say. In a 2009 edition of the Annals of Neuroscience, Stephen Hawking wrote an in-depth piece about life with ALS and how people with disabilities can continue to enjoy their lives. Hawking is frequently asked about how he feels about ALS, and his response is always that he does not feel anything significant about it. Instead of dwelling on his condition or worrying about the things he is unable to do, Hawking tries to live his life as normally as possible. Regretting his condition or the things he cannot do is a waste of the limited time that he has on earth. To other people with disabilities, Hawking recommends to live life to their fullest and to never focus on the disability. While some people may be disabled physically, they do not have to be disabled in spirit as well. Hawking has enjoyed a rewarding career and raised a beautiful family despite his illness. Although each disability and individual is unique, Hawking believes that it is always possible to live a fulfilling and rewarding life. A lesson we all need to not admire but also believe. And live. This entry was posted in Educational Resources on May 20, 2016 by tjentz. Special education, also referred to as special needs education, focuses on addressing the needs of children who experience a range of difficulties in learning, communicating, and managing their own emotions and behavior. They may also be facing challenges associated with physical disabilities, sensory impairments and development disorders. It’s imperative for parents, guardians, caretakers, teachers, and trainers to find both effective strategies and useful resources to help these students to do well in life. Moreover, the field of special education is far from static, new research and new laws change perspective. While a day-to-day common sense approach does help children with special needs, research-based strategies have proven time and again to be extremely effective. For this reason advanced training and certification is recommended for professional teachers. However, apart from improved educational methodology, there is also another component to the special education field that it is important for both parents and teachers to know well, the federal laws governing this field which is covered by the disability act known as IDEA. So, in most educational jurisdictions, special education is overseen by federal law under the Individuals with Disabilities Act (IDEA). Under the law, special education must provide support, services, and placements to all educational needs without any cost to the parents. The categories under IDEA include sensory impairments like deafness, hearing impairments, blindness, visual impairments, and speech and language impairments; mental and emotional impairment like autism, developmental delays, emotional disturbance, mental retardation, specific learning disabilities, and traumatic brain injury; and physical impairments like multiple disabilities, orthopedic disabilities, and other health impairments. Additionally, some jurisdictions may include a Gifted category as children with extraordinary talent also have considerable difficulty fitting into the curriculum of regular schooling. 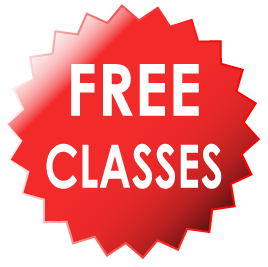 There are innumerable free online classes offered by some of the world’s best universities available at your fingertips. These cover everything that is available through the regular educational system and they are taught by leading professors. The courses are delivered through video lectures, articles, and online tests. In the field of Special Education, we found two highly informative courses from the University of Southern Queensland and Yale University. The University of Southern Queensland, formerly called the Queensland Institute of Technology was established in 1967. As the name indicates, it is located in Southern Queensland, Australia. Its main campus is on Toowoomba and it has campuses in Springfield and Fraser Coast. In Teaching Students with Special Needs: Behavior Management, students are shown a number of methods to help special needs children in different age groups and educational levels. The course explores researched teaching methods and discusses various researched techniques to maintain attention in a classroom. For more, visit Teaching Students with Special Needs: Behavior Management here. 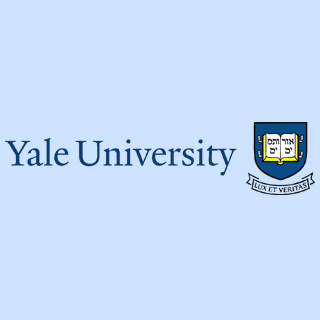 Yale University is ranked as one of the top private Ivy League universities in the world. Located in New Haven, Connecticut, it has developed a formidable reputation as one of the best places for students interested in advanced research. The Legal Rights of Children with Autism and Related Disorders covers some highly important and relevant topics on legal issues in considerable depth. This course is most suitable for parents as it explains legal issues in a straightforward way without trying to comprehend complicated legal jargon. For more, visit The Legal Rights of Children with Autism and Related Disorders here. E-learning providers are pioneers in the field of learning education. They provide cloud-based learning solutions to thousands of people all over the world. Although not universities or colleges per se, they still offer most educational courses available through formal education. In the field of Special Education, we found three excellent courses from Alison, Open Learning, and LD online. ALISON is an acronym for Advance Learning Interactive Systems Online. This e-learning provider was founded in 2007 by Mike Feerick in Galway, Ireland. 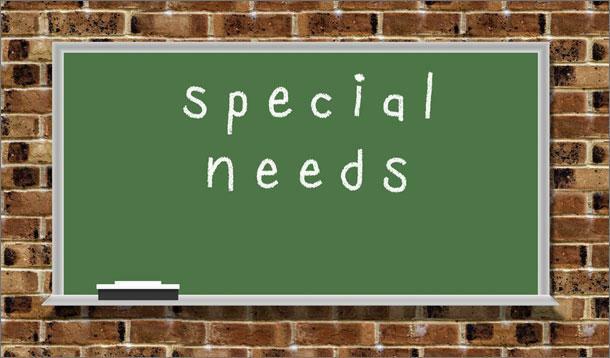 Working with Students with Special Education Needs discusses the requirements for meeting the individual needs of special education students. Teachers who work with special educational needs students need to learn certain skills and specific strategies to deliver the most effective classes. Besides a description of each disability, it also goes into practical strategies teachers can use to assist students with each one. The course is suited for special education teachers. For more, visit Working with Students-with Special Educational Needs here. 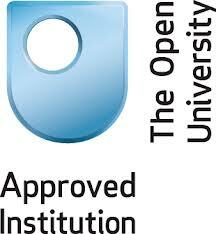 The Open University is a British University. It is open to people who don’t have formal academic qualification. The Nobody’s Normal series is a collaborative venture between the British Broadcasting Corporation (BBC) and the OpenLearn team, which is a program and web team at The Open University. It is a documentary series to help educate families about the special needs and challenges of disabled people. It covers the five most significant stages in their lives, namely birth, schooling, dating, leaving home, and aging through real-life case studies. This course is suitable for parents as it provides a non-academic perspective on all the social issues around raising a child with disabilities. For more, visit The Nobody’s Normal Series by Open University here. LD OnLine is an authority website on learning disabilities. It is a valuable resource for both parents and teachers. Andrea Sherwin Ripp, Ed.M., MS, OTR/L, has created a free course on Advocacy in Special Education for parents. The program is built around her approved study doctorate thesis for research in special needs education. The course is suitable for parents. Parents who complete the course receive a course certificate and a comprehensive resource list. They are also entered into a drawing for one of five Amazon.com gift certificates valued at $25 each. For more, visit Advocacy in Special Education here. Dr. Bernard Rimland and Dr Ruth Sullivan founded the Autism Society of America in 1965 to support parents with children who had autism or related disorders. The Autism society offers two useful classes for parents: Autism 101 and Autism and the Environment 101. Autism 101 is principally for parents, but may also help those working with autism as caregivers. This course covers the autism spectrum, treatment options and assistance, transition to adulthood, and what parents can do every day. Participants can download a certificate of completion in PDF format to have a reminder of their course experiences. For more, visit Autism 101 here. Autism and the Environment 101 expands on the ideas introduced in the Autism 101 course to give a much broader understanding of Autism. This course covers a new model of autism, why there is a noticeable rise of autism spectrum disorders, and the role of government in helping children with autism. The course concludes with what parents and caretakers can do every day. Participants can receive a printable PDF certificate of completion. For more, visit Autism and the Environment 101 here. Open Education Database (OEDb) may very well be the most comprehensive collection of both online university and free courses available in the world. Founded in 2007, it has been a pioneer in the open education movement. In fact, it offers information on as many as 10,000 free open courses. We found three course on special education offered by Liberty University. 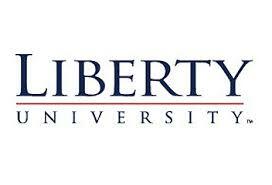 Liberty University is a private, Christian institution in Lynchburg Virginia. On campus, it has 12,600 residential students. Its online division has 90,000 students and is hosted on iTunes as part of the iTunes U course collection. For more, visit Current Trends in Special Education here. • How to research, analyze and evaluate controversial issues when it comes to exceptionalities. This course is most suitable for special education teachers. For more, visit Issues and Trends in Exceptionality by Liberty University here. This course is suited for special education teachers. For more, visit Learning and Behavior Problems here. In addition to these 10 free online courses there are many other helpful online resources. Classes, videos, podcasts, and articles on special education provide detailed knowledge about the characteristics of various disorders, the legal aspects of advocacy and assistance, and creative teaching methods. This entry was posted in Educational Resources, Resources For Parents, Resources For Teachers on December 3, 2013 by tjentz. 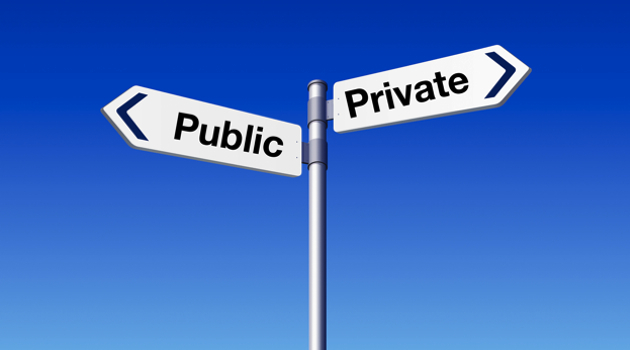 Do Private Special Education Programs Exist? More often than not, special education programs are found in public schools that receive funding directly related to serving students with special needs and learning disabilities. Special education programs in private schools are fewer and further between. In part, this is because of the lack of designated funding, and in part, because most private educational institutions have smaller class sizes and are more readily able to cater to the special needs of any given student. There are, however, private school and private tutorial options at all levels for students with special needs. According to the National Association of Private Special Education Centers (NAPSEC), there are 6.6 million students being served through the Individuals with Disabilities Education Act (IDEA) and 3.4% of those students are being served by a private schools of some sort. A group like the NAPSEC connects parents and students with private schools and organizations that serve special needs students from preschool to adulthood. Some of these learning centers are more traditional private schools, and some of them are organizations that offer tutorial services from private educators. 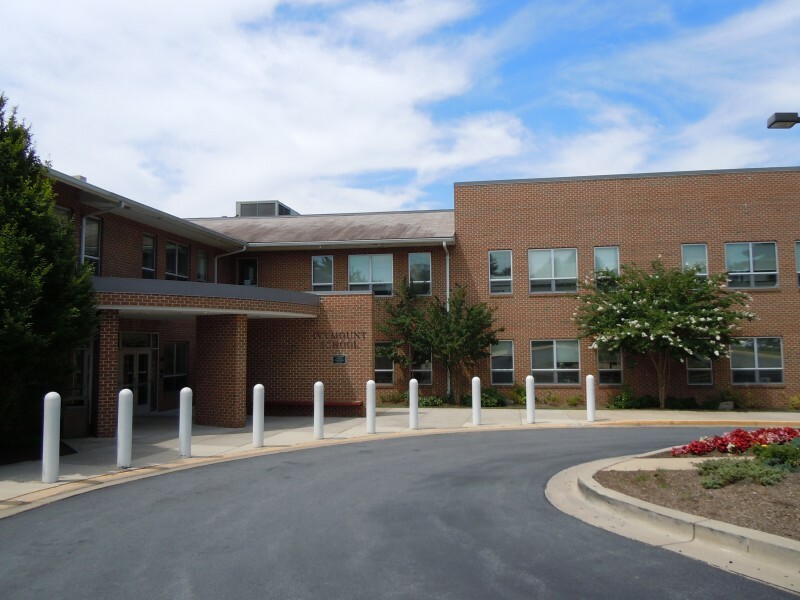 Private institutions like The Summit School in Edgewater, Maryland provide a range of educational services to special needs students with dyslexia and other learning differences. Summit educates students in grades one through eight and works to integrate students into traditional high schools. The tuition is $28,472 for the 2013-2014 academic year, which is comparable to many traditional private schools. Also, like most traditional private grade schools, financial aid is available in different forms. An excellent resource for finding private preschool, elementary, middle, and high schools in any given state is the site Private School Review. This site allows you to narrow your school search to find private special education schools in your home state. An investigation of these institutions will show schools with small student populations – for example, their list of private special needs high schools in Missouri shows a range of student totals from 6 to 194 while elementary school student totals range from 11 to 194 – that allow teachers greater freedom to concentrate their attention on the individual needs of each student. Schools on this list focus on providing education to students with vastly differing special needs, from mild learning disabilities to severe mental handicaps. Many offer individualized learning programs geared towards specific needs students. In addition to fairly traditional classroom settings, many of these schools offer tutoring and other services from education professionals who are trained to help special needs students. The yearly tuition rates at most of these schools range from $10,000 to $30,000 and many have financial aid opportunities. There are also plenty of options for special needs students preparing for college. Colleges designed exclusively to serve the needs of these students are far more rare than are private preschools, elementary, middle, and high schools. However, many colleges have programs that are designed to meed special educational needs, and some are better than others. The website Best Colleges Online ranks twenty colleges that excel at catering to students with special needs. The University of Iowa, which tops the list, has designated residence halls and community-based internships for students with intellectual, cognitive, and learning disabilities. At West Virginia Wesleyan College, students with learning disabilities, attention disorders, and other special needs can make use of the Mentor Advantage Program which offers a wide range of support to help with the college transition. Other colleges have special programs to assist students with autism, Down Syndrome, dyslexia, and physical impairments like blindness of hearing-impairment. The assistance often includes services that help with specialized study skills, job placement, and even self advocacy and social skills. These colleges and universities are all subject to ever increasing tuition costs, and some of these special services are fee-based. There are many options for private schooling and tutoring from preschool through high school for students with special needs. When college is in view, the specialized options become more limited. However, many college programs work to ensure that their special needs students are equipped study, work, and social skills to help them succeed. This entry was posted in Educational Resources, Frequently Asked Questions on November 18, 2013 by tjentz. When you have a child with special needs, you want to make sure your child is still able to get the most out of their education. Many government programs exist to help children of all ages further their development. Children with special needs will not be able to take advantage of all of the programs that schools and the government have to offer. However, there are many programs that were created specifically for special needs children. Being aware of these programs will help you to make sure your child is included in the many beneficial services available. Your school will be the first resource for helping your child get the most out of his or her abilities while gaining access to education. Your special education representatives should sit down and create an Individualized Education Program, or IEP, for your child. They will take into account your particular child’s needs and challenges, and create a plan for incorporating them into the school and helping them to succeed. With your IEP, you can feel more confident that your school is going to take good care of your child. For more information about this program, go to GreatSchools.Org to learn more! For those who don’t know where to start in taking advantage of the services available to their special needs child, the DoD Special Needs Parent Toolkit is a great resource. While this program is especially geared towards families in the military, their website has many resources and informational documents that will help you to visualize the amount of resources available to you. On their website, they list the links to even more resources for your child, including financial resources, community support, and educational services. To see the DoD Special Needs Parent Toolkit and more, go here . Certain programs exist to help bring awareness for children and adults with specific disabilities. For example, the Autism Society of America (ASA) educates the public about the particulars of autism, and lets them know how they can be more aware and more sensitive to the disability. They sometimes hold activities for special needs children, where families can meet each other and develop a support network. These awareness events also bring families together with community supporters of the disability. These type of programs exist for many different disabilities. Visit the the Autism Society’s website by going here . Even for those with disabilities that aren’t so common, the government has support networks in place for families to find one another and get access to the resources they need. The National Organization for Rare Disorders collects and distributes information relating to rarer disabilities. Their information is geared towards helping people with rare disabilities find health resources, information, and services relating to their disabilities. They can be found at the following link . Some states have developed funding programs to relieve the burden of educational costs on special needs families. Georgia’s Special Needs Scholarship program is one good example of this. Similar programs exist in other states; check with your local or regional education department to see what exists in your state. To view Georgia’s program, click the following link . The national government also has programs in place to disseminate information and provide resources to children with specific disabilities. One example of this is the Opening Doors program, which was designed for children with hearing loss problems. This program maintains up-to-date information on services for hearing loss indivuals, as well as providing technology resources to help these children cope with their difficulties in communication. National programs like this one exist for many individual disabilities, and they can be found through a simple internet search. For more information on the Opening Doors program, go here . The US government is sensitive to the additional costs related to caring for a child with special needs. For those families who need it, special financial assistance is available. Extra health benefits, Social Supplemental Income (SSI), and social security benefits may be available to families who qualify for special needs assistance. To see the requirements and to apply for this assistance, follow this link to their website. Medical expenses can be a major burden for those with special needs. Fortunately there are programs to help families get help in covering these costs. The Health Insurance Counseling and Advocacy Program helps individuals with disabilities understand how health care coverage works, and allows them to find resources to help them cover their medical costs. The center is very knowledgeable about health insurance and the health care system, and they provide informational pamphlets and consultations. Their website is available here . The Consumer Center for Health Education and Advocacy is a resource that helps families gain access to health services and information. They have awareness programs and information for many different disabilities. They can guide you to the appropriate local resources that will help you get the best health care for your child, and help you find financial assistance for health care. Many programs exist on the local and regional level to help children with special needs to develop their leadership potential and higher functioning. The Center for Emerging Leadership is one such program. This program helps teens with disabilities to learn life skills and develop their leadership abilities. Parents can learn how to foster these qualities in their children on a daily basis. For more information on this program, go here . The PACER center is an example of a regional program that helps your child make the most out of the opportunities that are available for individuals with special needs. They keep their community aware of events and opportunities that are accessible to special needs chidlren, and encourage the families to help their child participate as much as possible in local activities. While the program is based in Bloomington, MN, they can guide individuals in other locations to similar programs that may exist in your area. Their website can be found at this link. Partners in Policymaking is an example of a program that wants to help families with special needs children to become more involved in helping lawmakers choose policies that will help, or at least not hinder, their children’s futures. The center offers training for parents in how to become more active in the local and national governments, how to create community support networks to advocate for their issues, and how to address regional and national policymakers to voice their concerns with the most effect. For more information on this program, you can visit here . 3E Love is a program that was developed to help children with disabilities to feel included and to have high self esteem despite their challenges. The program fosters self-love, as well as community awareness. Their community building efforts help children with disabilities to embrace the diversity that they bring to the world, and to find others like them. To find out more about their initiative, click on the link here . The Team of Advocates for Special Kids is another program that provides community links to programs that help children with special needs. This California based program gives referrals for health, education, and financial resources, and they also sometimes host activities for awareness and community support. Here is a link to their website . This is only the tip of the iceberg, when it comes to the programs available to children with special needs and their families. By contacting one of the programs above, you may also gain more information about the programs that are available to you and your family. Building a community of knowledgeable individuals is important to allowing your child to grow and take advantage of many opportunities. The programs above are a great start to getting the help and benefits that your child needs. This entry was posted in Educational Resources, Resources For Parents, Resources For Teachers on November 14, 2013 by tjentz. The choice of which college to attend is a major decision for many high school graduates. Choosing the right college can mean the difference between an amazing four years that launches a person into a career they love and a miserable four years that does little to improve the person’s future. The school a person picks will determine his or her friends, living arrangements and future job opportunities. This is why smart high school graduates weigh their options carefully in order to pick the right school. There are several factors high school students should take into consideration when selecting the right college or university for them. For students planning on attending a traditional college—as in, not an online college—the college they pick will determine where they will live for the next four or more years of their life. Some students cannot imagine being too far from the comforts of home or are simply unable to leave their city or state because of work or family responsibilities. Others see college as the perfect opportunity to venture out and explore the world. Students have many options of where to attend colleges—from big cities to small towns or even foreign countries. If there is a place or type of place a student has always wanted to live, college can be an excellent time to move there. While most people do not choose a school based on the cost, the cost is most definitely a factor in which schools students will be able to afford to attend. In-state tuition is generally cheaper than out-of-state tuition and community colleges are generally cheaper than private universities, though not always. Grants and scholarships can make even the most expensive schools affordable when a student’s tuition is paid for in part or in whole. When determining the cost of various schools, students should also consider the cost of living in various areas, as everything tends to cost more in big cities. Even if a student is able to comfortably afford tuition, the costs of housing, groceries and transportation may be more than a student can handle. The size of the college is another factor students should take into consideration when choosing a college, though this factor is more a matter of personal preference than anything. Smaller colleges tend to offer advantages such as small class sizes and personalized instruction. Students and professors can really get to know each other and students can receive the help and direction they need, both academically and personally. On the other hand, larger colleges usually offer more opportunities such as clubs and sororities or fraternities. Larger colleges may be more established, have more resources and offer more connections. Larger colleges also often tend to be more diverse than smaller colleges. Students choosing a college should decide if they value the personalized education of a small school or the expanded opportunities and resources of a larger school. It only makes sense that students look into a school’s academics when comparing colleges to find the right fit. Not all degree programs are the same. Some colleges require many general education classes on various subjects, while others mostly stick to the core subject matter for the fields students are pursuing. Some schools are challenging and expect students to excel in all areas, while others simply expect students to meet minimum competency requirements. 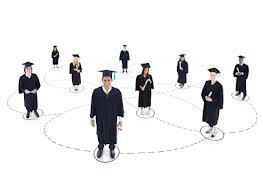 Students should research which degrees and majors are offered at various colleges. Even students who have already determined their major may want a school that offers other related majors in case they decide to shift their education focus slightly. Students should investigate the particular focus of the majors, as degrees do not match up at all schools. Students should look through course catalogues and see which classes are offered in particular, taking note to see if any classes are missing. This way, students hoping to work in a particular niche find the school that best equips them for it. While practicums and internships are helpful for all majors, they are absolutely vital to students majoring in special education, for example. Classroom teaching simply cannot be taught solely from textbooks; so much of the knowledge must be gained from hands-on experiences with real children in real special education classrooms. Students hoping to major in special education should inquire as to the number of field experiences offered and required within the major at various schools. They should also research the area around the school to ensure that the internships they receive will actually be beneficial. Students obtaining a special education degree should attend college in areas that actually have special education classes for them to observe and work in. Lastly, once students have found a few colleges that look promising, students should schedule a few campus visits to determine which college is a good fit for them. “Good fit” is entirely subjective and will vary widely based on individual personalities and preferences, but it is essential to school success. Some students simply do better in some schools than others. While asking others their opinions on various schools and programs can be exceedingly helpful, students must decide for themselves where exactly they best belong. It is not uncommon for high school graduates to spend months or even years agonizing over the choice of where to attend college. No one can blame them for wanting to make the absolute best decision and sometimes there is no easy way to know what that decision is. Students should keep in mind, however, that while not all colleges are created equal, some are not all that different either. Unless students are going into a very competitive and elite field, there are likely several excellent choices for which college to attend. Making the choice is not so much about avoiding the wrong college as it is choosing the very best one. By carefully considering the above factors, students hoping to make the best choice cannot go wrong. This entry was posted in Educational Resources on September 10, 2013 by tjentz.